Uber released their S1, their prospectus for their IPO today. The biggest concern for potential investors is probably their falling growth rates, which makes it hard to model a future where the company can produce significant earnings to justify its valuation. The table below shows how the growth rates have punched. Uber, like most US companies, uses calendar years for their financial years. On Page 126 we see that even that revenue increase was subsidised by excess driver incentives, and netting that out the growth was only 17% year on year. At, say, a 20% net margin and 40% growth $10 billion income would take 5 years. But that is a courageous assumption about the growth rate, given the above, and it also assumes significant margin improvement, which will be hard if the marketing spend continues, which itself is required for growth. And increasing pricing is hard because customers and drivers will simply choose other platforms. This is not a winner take all market. For the model to work the higher growth (100% y/y) of Uber Eats needs to be maintained for quite a while, and while that’s possibility, I suspect their margins will be sharply squeezed as big brand chains respond. Mobi2Go is making very good progress in part because Uber’s take rate from restaurants is absurdly high, and Mobi2Go puts the brand in the centre rather than Uber. So either that take rate will need to decrease, and with it the net revenue, or this market will become a multi-player game and revenue will fall regardless. Overall if Uber raises a high amount of money then they will simply get a longer runway, but it also seems clear that there is a real chance of judgement day arriving, and with it a plunge in the share price. There’s a lot of work going on at the moment trying to address the funding needs of hundreds of companies that are emerging from New Zealand. Investors, groups of investors and funds are all lifting their sights, raising and contributing more money as the success of the sector becomes increasingly obvious. To be blunt people are making a lot of money as a result of founding companies and investing, and they want more. The FMA and NZX are conducting a study on the financial markets, and asking why we are seeing no IPOs in New Zealand. And the government (via MBIE) is investigating the venture capital funding gap and seeking to introduce policy to accelerate investment. At Punakaiki Fund all I can say is that our major problem has always been raising money. We have never, in our five years of investing, had a shortage of deal flow, of great companies to invest in. It’s incredibly frustrating to have to pass on opportunity after opportunity, and then watch those companies raise inadequate or no funding. In my work with NZTE over the last few years I’ve most often had to suggest to founders that they seek to avoid raising money, as doing so is very difficult and trying generally leads to poor outcomes. Ideally, I advise, companies should raise funds from their customers. Boardingware, to be renamed Orah, one of the companies Punakaiki Fund has invested in, is not alone in taking its payments a year in advance, while Onceit (another Punakaiki Fund investment) takes payment before procuring products for its customers. These companies are able to grow with much lower, or even no, external funding. But Paysauce, as a new listed company with public figures, makes just a few hundred thousand dollars a year and is reliant on continuous funding for survival. Actually that’s not strictly correct. Software as a Service (SaaS) companies can, after a certain minimum revenue of say $500,000-$1 million, always survive if their funding dries up, albeit at the expense of letting go of staff to lower costs to match revenue. This happens distressingly often in New Zealand, and it has benefits and costs. The benefits are that we are very good in New Zealand at creating and growing companies with sustainable business models. We know, as investors, that founders will drive these companies frugally and not over-invest in frivolous or non-revenue or product driving activity. The downside is also clear though. We do not often enough see companies receive funding that allows them to win. Even lousy companies, you see, that raise a huge amount of money increase their chances of winning. It’s almost distressing to watch this occur when we look at so many companies with products and markets that are outrageously great grow slowly enough to be at risk of being overtaken by better funded, but in other ways inferior competitors. Funding is a valid way to win, and in New Zealand we very rarely have that weapon. Xero did, raising well beyond its stage at IPO. Perhaps Paysauce will do so – their product seems ahead of their revenue, and being one of a very few listed early stage companies here they have a very public chance to win. At Punakaiki Fund we have investments in several companies that could do extraordinarily well with extraordinary funding. In general we are able to provide only a percentage of the funding they could really use, and they end up “only” doing very well. We are grateful, on the other hand, that growth VC investor Movac has placed, we believe, half of the committed funds to date from their Fund 4 into Punakaiki Fund companies, and Vend, Mobi2go and Timely are all charging forth with rounds of $5 million or more. While we placed over $2 million into two of those companies earlier on, we were unable to stretch to the next level. The bigger opportunity we are missing, as an ecosystem, is for large investors who actively placing very large investments into early stage, yet proven, companies. This sort of risk capital is very common offshore, but here our limited funds, along with a very poor 10-15 year track record for venture capital investment into pre-commercial companies, we see investment mainly into companies with safe levels of revenue. We see occasionally some pre-revenue companies attracting very large sums, such as Nyriad, Avertana and Mint Innovation. These are high risk generally, and investors are advised (by the companies) to treat their investment as having a high chance of complete loss. Occasionally also we see small companies with, say, under $2 million in revenue receive large rounds from offshore. Ask Nicely is one of the more well known companies in this category. That’s all good, but we need more, a lot more, money to go to companies at an early stage. It’s the ones who are missing out that are causing frustration. How would our ecosystem look if we had another $250 million per year being professionally invested? For a start that would fund 2,500 high value jobs at $100,000 each, and it would definitely accelerate or arguably ensure the creation of some unicorns. It would also generate a lot of tax paid (think of the PAYE and GST), as well as investor returns. Those investor returns have historically been, in New Zealand, atrocious. A lot of angel funding was misdirected for many years, and companies received poor advice and governance. But now things are a lot better. The quality of the companies coming through has improved. The quality of work done by investors (many have been filtered out) has increased sharply. The quality of governance still lags but has also improved a lot. There are a growing number of public success stories, and there are a lot more to come. But I despair for the money left in the table by most investors. Yale University, with US$29 billion of investments, places 18% of its portfolio into venture capital. NZ Super, ACC and Kiwisaver, collectively around $120 billion, invest nothing. If they placed 5% of their portfolios into venture capital then $6 billion would need to be allocated. And given that they have privileged access to what I consider to be the most dynamic and under-priced market for venture capital globally, they should be placing a good percentage of that domestically. Indeed they should not place money internationally as they are unlikely to get access to the best funds. But here in New Zealand it’s the time and place to make big allocations to venture capital, and they have a home ground advantage. The asset class deliverers high returns at low correlation to the stock market, and is a great place to invest into when markets are high. New Zealand funds and individuals would do well to consider investing. But please avoid investing into angel stage companies, not until, at least, you have made a series of small investments and have genuinely done the work required to understand what you are doing. Investing is work, and experience is earned the hard, and sometimes expensive way. It’s a lot of fun though, and if you can help and understand the space well then lean in. Meanwhile the main opportunity is with later stage companies, and they need a much higher degree of work to investigate, invest into and drive performance, and they need much larger investment sizes. This is the province of a handful of very high net worth investors and an even smaller number of funds. We need more of both categories, and with more finds to allocate. We generally hold one retail offer per year for people to invest in Punakaiki Fund Limited. As is normal this year’s offer has a Product Disclosure Statement (PDS), and investors can apply online using our simple system. The new September quarter-end valuation, as assessed by the Punakaiki Fund Board last week, increased total assets to $42.4 million, up from $40.6 million in the PDS. The Investor Net Asset Value (iNAV) per share increased from $21.22 in the PDS to $21.93. Obviously the iNAV per Share at the end of September of $21.93 per share represents a good premium over the Offer price of $21.50 per share, and it is good to see the iNAV per share moving upwards. In New Zealand we have increasingly well functioning and highly active pre-seed and seed investment communities, and hundreds (really!) of companies are coming through looking for their next round of funding. Many, including companies we have already invested into, are superb investment opportunities, and the next series of companies that will deliver results like Xero, Diligent, Pushpay and A2 Milk are almost certainly on our lists of potential investments. However there is a very large opportunity gap for companies looking for VC investments, as the chart using data from a ministerial briefing earlier this year illustrates. Note as well that our average VC investment size of about $2 million is tiny versus US equivalents of $10 million. Companies graduating from the Angel and Seed stage often struggle to continue their growth as their funding prospects diminish. Many companies go into a “lean” mode, retaining higher shareholding percentages for founders and early investors at the cost of building their businesses more slowly than they otherwise might. This can lead to some positive behaviours and excellent results, but we’ve also seen too many companies miss out on global opportunities as others move more quickly to take the space. Punakaiki Fund is addressing some of that gap. The chart below shows that almost 3/4 of our funds invested to date are placed with companies where we have cumulatively invested over $1.5 million (generally over multiple investment rounds). It also shows that 97% of our investments are where we have placed a cumulative total of over $500,000 per company. About half of those funds were invested since January 2017 – when we raise funds we tend to invest them very quickly. The charts combine to show that we are primarily operating in VC space. There are very few players able to serve the needs of companies seeking funding at this level, and we are constantly seeking more funds ourselves to continue to address the overwhelming opportunity for New Zealand. Obviously as investors facing very high demand and low supply we are able to pick the best opportunities. This year we set a low minimum of just $215 (10 shares), mainly to ensure that most people can participate and to take away a reason not to invest. As a pleasing result we have seen investors (including our own family) take advantage of the low minimum to purchase shares for their children. However given that the Offer closes tomorrow to avoid disappointment (the application paperwork for children is a lot more demanding) please consider investing under your own name first, and then transferring the shares after the Offer closes. We also ask that investors consider trusts and companies only for larger investments – again shares can be transferred after the Offer closes. Alternatively, download the Product Disclosure Statement and apply using the application form at the back, scanning and emailing. Melon Health is a CDC approved provider of digital Diabetes Prevention Programs across the USA. Here is a video promoting that service. You can help Punakaiki Fund Limited invest in Melon Health by subscribing to the latest retail offer. Read the PDS to find out more. You can invest online. I’ve been outed as someone who isn’t entirely positive about the new Lime electric scooters in Auckland, Wellington and Christchurch. There are a few reasons for the, but first let’s agree on one thing – the electric scooters (and electric bikes) do bring a lot of joy. It’s difficult not to grin when you ride the new scooters, and it’s clear that most riders are loving the experience. Lime has a very simple and polished on-boarding process, especially if you have Apple Pay enabled (download the app, scan and ride), and the scooters feel like magic. They get people moving on the streets in a very human way, at the same level as people walking, but with the speed of running or even cars, but without the effort. The simple rule for vehicle safety is to separate hard from soft, and slow from fast. That means making sure that people walking are separated from fast moving cyclists and scooter riders, and they in turn are separated from cars and trucks. A well designed road has footpaths, bike paths and motorised traffic lanes, while really high speed travel happens well away from there on motorways and train tracks. Where we can’t separate vehicle mode flows then we need road design that helps to ensure that the speeds are consistent. It’s good to see the increase in the amount of mixed use space down-town in Auckland, for example, which does exactly that. We are also going to see lowering of speed limits in suburbs, to 30km, as well as outside of schools and in more densely populated areas. We are still getting it wrong too often – we should, for example, never have a reason for people on bikes and trucks traveling at high speed to be (often fatally) interacting. There is a lot more work to do before our physical environment is safe and we need to keep going. Cyclists have known for years that many suburban streets are very dangerous for people on bikes (and motorcyclists have too), and that evolved in past years into a road warrior mentality to ensure survival. Being a road warrior means being constantly vigilant about your own safety, accepting that every rider is going to experience fatal risks on almost every ride and likely carrying a few scars and bruises from falling off after car drivers perform dangerous manoeuvres. The advent of physically separated cycling lanes has changed the nature of cycling, and it’s no longer a requirement to be a road warrior to survive. We can now wear normal clothes, ride sit-up bikes slowly and increasingly enjoy completely separated – and faster – experiences to being in a car. The more “normal” people we see on bikes, the more everyone adjusts, and we are all safer. The rapid adoption of electric bikes over the last two years (in particular) has transformed what was, for many, an arduous lengthy commute into a fun and sweat-free ride. These vehicles dramatically increase average speeds (many electric bikes are clipped at 25 km/h) and make it much easier and safer to accelerate with the cars when the lights go green. They come with improved brakes, stronger and larger tires for more grip, and riding positions that provide better visibility and ability to brake and manoeuvre. The new electric scooters are also speed-limited, to around 27km/h, although the Lime scooters only see this on flat or down hill, and lose a hilariously large amount of speed when travelling up hills. These can also make journeys fun and fast, and get people out of cars and into the outdoors. The electric bikes and electric scooters introduce much faster speeds into a variety of places, and some of our infrastructure is unable to cope. The scooters are under-braked (those tiny wheels) versus bikes, and they are much harder for newbies to turn to evade trouble. On the upside they are easy enough to step off from, but that isn’t necessarily obvious to a beginner. So the risk here is that beginners jump on to a scooter and then get into a situation that they cannot easily avoid. Some of these could be fatal. The scooters themselves fit into a strange gap in the law. They are allowed to be ridden on the road (off to the left), on the footpath but, according to NZHerald, not on cycleways. For some reason though some riders assume that this means they can travel at 25km/h on the footpath or over a busy pedestrian crossing – and that’s very dangerous. Wearing a helmet will make riders feel more secure, and encourage higher (and more dangerous to others) speeds. On the road meanwhile it’s easy and normal for scooter riders to be zooming along at 25 km/h while cars nearby are doing double that speed, creating a 20-30km/h speed differential between the scooter rider and the road and the cars, each of which is potentially fatal. We need more electric scooters, electric bikes and other power assisted and non power assisted human size vehicles. They transform the way we live and interact with our environment, and make living in a city a lot more fun. However I’d like see a new set of regulations for all small power assisted and non-power assisted vehicles (cycles, scooters, skateboards etc). These should focus on the use case rather than the vehicle, where clearly we are going to see increasingly diverse options. We should allow all these devices to be ridden slowly amongst pedestrians, or more quickly on cycle lanes or and on low-speed urban streets. These riders should not be required to wear helmets, but they should be required to ride at an appropriate speed for their environment. Zooming at 25km/h amongst pedestrians is dangerous riding and should be treated seriously. Electric Scooter providers should be held accountable for the large volume of ACC claims, and provide better introduction (e.g. speed limited to start) and protection against harmful use by analysing use patterns. However on higher speed roads, such as arterial or 50km/h routes without cycle lanes, I’d like to see the rules treat these devices more like mopeds and motorcycles, with expectations, say, that at least a skateboarder quality helmet is worn up to a certain power limit, and beyond that a proper motorcycle helmet. Overall though we need to continue to work to get more separated lanes, mixed use areas and lower speed limited with speed limited furniture in place, as these are the only way to truly remove fatal risk. Riding scooters and bikes, or even walking, is really enjoyable, and let’s have a society where we travel at this human level. About me: I am a walker, cyclist, e-cyclist, e-tricyclist, motorcyclist (with a lot of international experience) car driver, bus rider, plane passenger and occasional train rider. I live in downtown Auckland and walk or ecycle to work, and ecycle, motorcycle and fly to meetings. Disclaimer: Punakaiki Fund Limited has lodged a Product Disclosure Statement (PDS) for a Public Offer. Please read the PDS if you are considering an investment. Yale Investment Office have just announced their latest results (good, especially with the lower risk they carry) and their target asset allocation for 2019. I always find it interesting comparing their portfolio construction to that of our Super Fund. Which portfolio would you prefer to be holding as the stock market wobbles? The chart below shows how Yale’s portfolio has evolved. NZ Super has 82% in equites, bonds and cash – a situation that Yale has not seen since 1992 or so. The philosophy differences are astonishing. Yale’s Dave Swensen wrote the book on Institutional Funds Management, and led Yale early into truly diversifying assets – away from US stocks and bonds and into, in particular, alternative assets such as Absolute Return, Venture Capital, Private Equity (Leveraged Buyouts). Their results have been superb, and also resilient to market downturns. The returns from Venture Capital are particularly strong, as Yale is one of the worlds most desired investors for funds so gets the pick of the crop. Their 20-year weighted return from Venture Capital is 25.5% per year (as any June 2017), and their expected return from Venture Capital going forward is 16%, each of which are the highest across Yale’s asset classes. But it still amazes me that New Zealand’s Super Fund allocates essentially none of their portfolio to the class, and that they are so exposed to the stock markets. Obviously our take is that we, at Punakaiki Fund, are playing in a space that is seriously short of investment funds, that New Zealand has a huge advantage in generating global companies (that need growth capital) and that we could use the funds, and competition, to help those companies. You’ve begun your role as the Chief Executive Officer of Auckland Transport at a moment of crisis, with hundreds of Auckland families coping with the death of their loved ones on the city’s roads every year. You have a mandate for change, a laundry list of initiatives, and a public and media ready to hear your actions. No doubt you’ve heard – formally and informally – from your Board, from the Mayor and Auckland Council, the road lobby and cycling and walking groups. However, I am writing to you as an individual, and from the perspective of your end users – parents, sons, daughters, car drivers, motorbike riders, cyclists, pedestrians, bus riders, and train passengers. People. I ask for your leadership – to guide Auckland to become the safest city in the world by instilling a world-leading safety culture at Auckland Transport. You face an overwhelming number of tasks, varying in scope from the trivial to multi-year projects. to do. I am sure, for example, that you have read the Road Safety Improvement Review and its pages and pages of suggestions. But a long list of tasks means that nothing is prioritised; so while a to-do list will be helpful, the real solution is a change in culture, and this needs genuine safety leadership for Auckland Transport, and from you, as its leader. Your leadership to save lives in Auckland can start by ensuring that your direct reports take a safety-first approach to everything they do. And you can set the expectation that they will set the same standard for their teams, cascading in turn these values to all Auckland Transport workers and contractors, and by extension, everyone living in and visiting our city. This will be challenging – some people will resist putting safety first, and others will be slow to start to live the value. Everyone will complain about the extra burden. But it will also be inspiring – as we all see the visible evidence of change, and the change in culture that empowers, requires even, everyone to just make things happen. The challenge also pales before the mandate – to save hundreds of Auckland’s families from coping with the loss of loved-ones who are fatally harmed on Auckland Transport’s network in each and every year. This looks like a daunting assignment but it is an achievable goal. I know this from my own experiences observing and being part of safety turnarounds at two very large overseas industrial sites, each with thousands of workers and contractors. In both cases recordable injuries and fatal risks plunged, and production soared. I have looked back at my experience to give you some unsolicited advice about to tackle this sort of turnaround. I hope you take up this challenge, and create a lasting legacy. Suggestions for leading a safety culture. Talking and meeting with the families of everyone who dies on your watch. Turning up to the funerals, hospitals and homes of the deceased, injured and traumatised. Taking your management team with you. Starting every meeting, large or small, with safety. These can be a brief as a ‘safety contact’ – a short anecdote on safety (good or bad) that focusses the meeting on the greater aim. Leading daily safety walks (and rides!) with your management team to observe activity, identify hazards, have structured conversations with staff and contractors, and assign responsibility to fixing hazards. Demonstrating safety leadership by uncompromisingly putting safety first in planning, and showing visible leadership with dramatic actions like closing streets and lanes to address critical issues, changing work practices, and more. Conducting layered audits with several levels of staff (and contractors) to deep dive into narrow topics to identify and fix larger gaps in processes. Reviewing close-out reports for every injury-causing incident with your management team, giving fatal harm incidents even more attention. Ensuring that multiple root causes are properly identified, and Auckland Transport puts in temporary and then permanent fixes to prevent further injury. This is not about punishing individuals – but a quest to learn how individuals can be physically safe. Requiring the same level of commitment from all of your management team and staff, all leaders of contractors, and all of their staff. Bringing the board of directors along for the journey, including meetings with families, a safety focus in meetings, and on-site visits. To be fair, the board, and chair, should be with you arm in arm as you drive this journey forward. Ensuring every employee and contractor is actively identifying hazards. The easiest way to do this is to mandate safety walks (for all supervisory staff), and safety meetings where hazards are identified. Using the cascaded safety walks, management review of injury accidents, internal and external (public) reporting to identify and classify (severity and risk) hazards across the Auckland Transport ecosystem. Record these in a central system. Creating and assigning (with permission) actions to Auckland Transport staff and/or contractors for all identified hazards. These is done during or just after the safety walks, in the formal reviews after injury-causing incidents, and by a self-selected or assigned internal team for publicly submitted reports. Creating the bias and authority for immediate action for these hazards – actions that remove hazards within hours or days with quick fixes. You might need to buy a lot more road cones, but the trick with quick fixes is to give broad authority to all staff within a limited budget. Give everyone permission and authority to make things happen, even it it means going to Bunnings and buying planters. Systematically reviewing the more serious hazards to upgrade the quick-fixes to permanent solutions that design the hazard out. Having a bias for very low cost solutions – and keep a close watch on the incessant proposals for more expensive and slower processes to create permanent fixes. Is there a way to do it cheaper and faster? Would the funding be better spent on more implementations? Publish a list (and map) of all identified hazards and allow members of the public comment and vote. Report, by hazard, progress to put in place temporary and permanent fixes to every hazard. Provide photos, stories and showcase safety heroes from within your staff and contractors. Measure and report on the output statistics – not just fatality statistics, but hazards identified and closed out, the number of injuries and near misses, and the source of those reports. I will judge you not by the number of fatalities, but by the number of hazards you identify and the speed and methods by which they are closed out. Work with NZTA and Auckland Council to address the risks that cross your domains. Report on and track the hazards in their domains. This list is not about finding people to blame and remove, but about cascading safety leadership throughout the organisation so that everyone can come home safely each day. If you adopt an inspirational approach then you have a great chance of taking us with you on your safety journey – and we’d all like to be inspired almost as much as we’d like to be able to walk, cycle and drive our streets in safety. Yesterday my wife had a meeting in the cafe in the Auckland Transport building, on a morning when a man in his fifties was fatally wounded after being struck by a car on a suburban Auckland road. Despite this the mood in the cafe was upbeat – shockingly so when so many of us hold Auckland Transport responsible for that death, and that of so many others, including a 15-year-old earlier this month. Each and every fatality is preventable. The person in their 50s was in an area “notorious for accidents”. The 15-year-old was killed in an area that had been repeatedly identified as a fatal risk hazard to Auckland Transport. Nothing meanwhile has been done to fix the issues I identified after I saw a man pass away on The Strand four years ago. There are still no signs for cyclists descending Parnell Rise, the gravel on The Strand remains and there is no sign of a separated cycle lane. We wait for the next preventable deaths. The honeymoon is over. I ask that you hold yourself responsible for all future injuries and fatalities under your purview, and do what you can to reduce harm to us all. I will personally hold you to that standard, and already hold Auckland Transport’s Board, and Auckland Transport’s staff and contractors to that same standard, and I constantly ask myself whether I am doing enough as well. Lead us to a safer place. We have released our September 2017 interim accounts, which are the half-year financial snapshot. These show that the assets of Punakaiki Fund were $31.56 million at the end of the quarter, of which $29.25 million was investments. The accounts show a profit of $1.145 million for the half-year, but we believe the more important piece of reading is the statement of cash flows. This shows that net cash used in operating activities was $213,000, which represents just 0.67% of total assets, or 1.35% on an annualised basis. It helps that the cash costs were partially offset by dividend income of $138,000, which combined with a small amount of interest income represented 40% of the total cash spent on operating activities. Most of the cash spent was on management fees, at $292,000. These fees are charged at 2% of the net asset value, plus GST, and paid each quarter in advance. The main other costs of $51,000 were for items such as insurance, audit fees and accounting fees. Looking forward the good news is that we have received dividend income of over $200,000 for the current half-year to March 2018, so we will see another good net cash result for the current six months and the year-end accounts. Obviously as the size of the assets under management grows we expect to see higher costs, as we increase the amount we pay for management fees, external suppliers, and we will also need to increase director fees. We do remain vigilant to ensure that the costs do not get out of hand versus the amount of assets, which is the primary reason we want to ensure we are at $100 million before we are a listed company. I am very happy to report that the December Offer for Punakaiki Fund raised a total of $3,438,750, from 187 investors. Those investors included 45 new investors, so there are now 670 investors holding shares in Punakaiki Fund. We are very thankful for that level of support. Cross posted from Punakaiki Fund. Punakaiki Fund is undergoing an offer to all New Zealand investors at the moment (closes on Thursday 21st). Read about it on the PunakaikiFund.co.nz website, where you can also find the Product Disclosure Statement. We are very happy to publicly announce our investment into Coherent Solutions. Coherent Solutions builds advanced coherent (laser) and non-coherent light testing equipment, primarily for the development and manufacture of fibre optic telecommunication components and systems. More simply they sell impressive, and very expensive, equipment that’s used to test the highest speed telecommunications gear. The company also has a number of new technologies in development which will expand its market from labs and advanced research and development facilities to hi-tech manufacturers. Blades for the test platform. On the left an optical electrical converter, and on the right (or below) a variable optical attenuator (a fancy volume control for output power). Coherent Solutions is headquartered on the North Shore in Auckland. It was founded as a spin-out from Southern Photonics, itself a spinout from some research developed by Auckland University and commercialised with the assistance of Uniservices. Coherent Solutions’ founders are Andy Stevens, who is the CEO and Iannick Monfils, the CTO, and with the help of a very talented team have built the company into a substantial business. Coherent Solutions has customers from around the world, including marquee brands in USA, China and Korea. 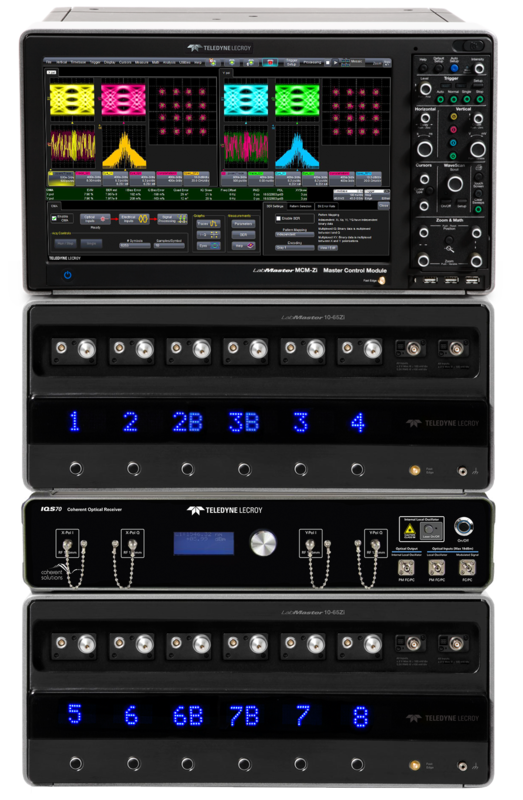 Coherent Solutions Optical Receivers with Teledyne Lecroy Oscilloscope. 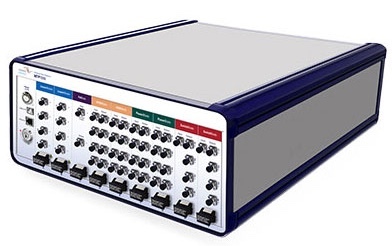 The Optical receiver converts optical signals into electrical signals that are then analysed by the oscilloscope in real time. This equipment is transmitting data at a tremendously high rate. We made our first investment into Coherent Solutions in mid November, but held off on public announcement until the other investors were ready. We have committed to invest half of a headline $3 million round, and aim to complete this before the end of the year (we have not yet paid it all). We also have the option to purchase a substantial additional number of shares from founders, to be completed before the end of March 2018. The other half of the $3 million headline investment comes principally from three New Zealand based investors. The first is K1W1 (Stephen Tindall’s vehicle), which is now the second investment, after Melon Health, where we are co-investors. We are delighted to have them join us. We are also joined by University of Auckland’s Inventors’ Fund. This is a $20 million fund focused on investing into companies that are commercialising IP generated by researchers and students affiliated with the University of Auckland. The original IP for the predecessor company to Coherent Solutions came out of the University of Auckland, and Auckland UniServices still maintains a shareholding (via the original company) in Coherent Solutions. The investment proposal went through the Physical Sciences Return on Science Committee, which recommended the investment to Auckland UniServices. I am a member of that Committee, and as a conflicted party (including as a Coherent Solutions director) sat with the Coherent Solutions team during their presentation, and left the room for the discussion and decision about the Committee’s recommendation. I am very happy to see these two worlds collide and welcome the Inventors’ Fund and Auckland UniServices on to our co-investor register. The next co-investor may surprise many people – as it is the NZ Venture Investment Fund. NZVIF has two sorts of funds – the first that invested directly into Venture Capital firms, and the second (SCIF) that invests alongside angel investment groups. Each traditionally came with a lot of conditions, and I have publicly and privately fought for many years for the NZVIF influenced term sheets, contracts and ways of doing business to be simplified and improved. Time has moved on. For this deal NZVIF us investing $500,000 using the same Shareholders Agreement and other contracts that we agreed with Coherent Solutions. We were not required to be accredited or sign any agreements with NZVIF, and are very happy to see NZVIF unshackled to act like an ordinary investor. The press release from Coherent Solutions is below. Coherent Solutions, a world leading provider of high-end testing equipment for the optical telecommunications market, announced today the completion of a $3 million A-Series investment round. The investment round was led by New Zealand’s Punakaiki Fund and supported by K1W1, NZVIF, and Auckland University’s Inventors Fund. 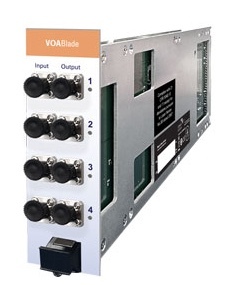 The Coherent Solutions brand, which has a strong reputation in high-end research labs, will now start to appear in production lines for fibre optic communication systems, modules, and components. “Coherent Solutions will be a substantial investment for Punakaiki Fund” states Lance Wiggs, “and has the potential to be our largest cash investment, if we include our arrangement with founders. 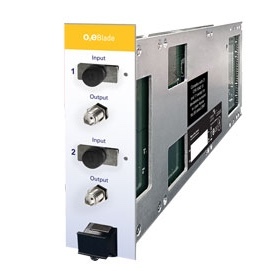 We see that with global demand for data and bandwidth ever increasing the demand for testing equipment to run ever more sophisticated optical communication networks will also increase. Coherent Solutions has impressed us by their ability to gain a foothold into this global market which is dominated by large, multinational instrumentation companies, and have a well-defined growth strategy. We are excited to be part of this successful New Zealand story”.